The password to my Twitter TWTR +1.29% account, which has been mine since 2007 and through which I have published more than 51,000 tweets, is “christophermims.” Knowing that won’t help you hack it, however. In fact, I’m publishing my password to make a point: The password is finally dying, if we want it to. Before I outline why I’m so confident about the irrelevance of the password that I’m willing to give mine away, let’s talk about what is already succeeding them, at least on a trial basis, on Google’s corporate campus: device-based authentication. Google is working on an as-yet unnamed protocol that allows you to connect to your online accounts on any device by authenticating yourself with your smartphone. This could be a code sent to you, or even a “smart ring.” In June, Google showed off one version of this scheme, in which a user’s laptop can be unlocked by the mere presence of his or her smartphone. It might seem foolish to replace an authentication token that you keep in your head (a password) with one you keep in your pocket (like a phone) but consider: The former can be obtained by hackers, and the latter you can shut down the moment it goes missing. If you have either an iPhone or a newer Samsung phone running Android, it’s simple to lock your phone remotely, even wipe it. So even if a thief gets his hands on the skeleton key to your accounts, you can disable it easily. 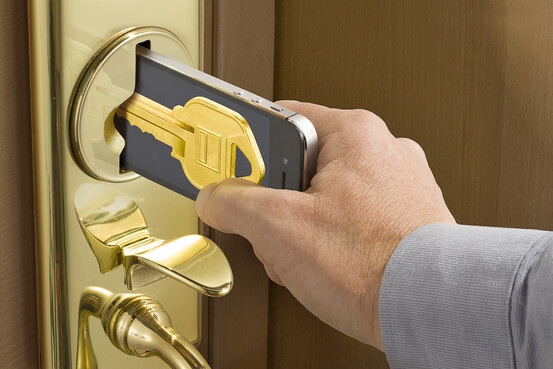 Plus, your phone is itself locked (or should be) with a PIN code or even a fingerprint sensor. If you want to sample the early version of a post-password future, all you have to do is switch on a common security feature of every major Web service. It’s available across all the Web giants, including every account offered by Google, Yahoo, YHOO +1.43%Microsoft, MSFT +0.97% Facebook, FB +2.26% Twitter and dozens of others, and yet surveys suggest more than half the public hasn’t heard of it. It’s called two-factor authentication. And if you have ever taken money out of your bank account at an ATM, you’ve already experienced it. I can’t read anymore Wall Street Journal articles online unless I become a paid subscriber. My limit of 10 free articles has been reached. I just cleaned out all the “cookies” so I assume they kept a tally from my IP address. I tried connecting to WSJ from links in a duckduckgo search ….. WSJ subscription police followed me there, too. To access any blocked article copy / Paste the headline into Google Search Box and Click on the Article under The Password Is Finally Dying. Here’s Mine in the results. Hey, will am I going to do?? I don’t have a smart phone, nor do I want one!! I have a very simple, simple Tracfone for emergencies only. Does this new tech mean I won’t even be able to use my desktop computer any more? I guess those of us who are old folks are just going to be out of luck! Am I right!? Thanks TC & EB I know you’ll give it to me straight. I don’t have a smart phone either, just a flip-up phone through AARP Consumer Cellular I don’t even use 25 minutes a month. It is just for emergencies. I don’t have a smart phone either.I use safe-link (a free phone through thr government). I finally broke down and got a smartphone. I resisted it for a long time. I still think it is redundant as all it really is is a mini computer. But I have learned what I needed to know to use it for phone purposes first and then have become slowly getting onto the many other features available to me. I knew I would have to come around at some point and my time is now. Glad to know security might get easier. The password thing has become downright bizarre. When you need a program (Lastpass for me) to keep on top of all your passwords it is a bit much. Smart phones are not for me I had one that I think came from the very depths of Hades . I will never own another one it was bad it was not bad twice I had to pay to have it reactivated and the third time I threw it in the trash .